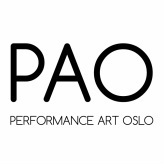 PAO presented a showcase of performances in downtown Oslo for Kulturnatt (Culture Night) on Friday September 16th from 18:00 - ca. 22:00. Featuring a diverse collection of Oslo based artists, the performances were site specific works in the public space. By positioning the performances outside the usual white cube gallery format, the performances reached a wider audience. The works formed a route through the public space and culminated in a performance at the Nobel Peace Centre. Artists: Fernanda Branco, Janne Jong, Joana Gelazyte, Katarina Skår Henriksen & Kyuja Bae, Kathleen Mcdowall, Kirsti Willemse, Kirsty Kross, Lykourgos Porfyris and Nystrøm & Jacobsen.